At around 8 pm, the lineup at Cheese Board Pizzeria extends well down the block. So why would I recommend road trippers hit this spot when dining in Berkeley, California? Timing, my friends, timing. The next day, I jump out of my car and rush over to Cheese Board five minutes before their lunchtime closing of 3 pm. There’s only five folks ahead of me, and an employee is going up the line asking people how much pizza they intend to order, so they can figure out how many pies to toss in the oven before they shut down for the afternoon. Obviously, I wasn’t in the long line the night before, but I’m guessing it moved pretty swiftly. Here’s why, which explains the brilliance of Cheese Board. 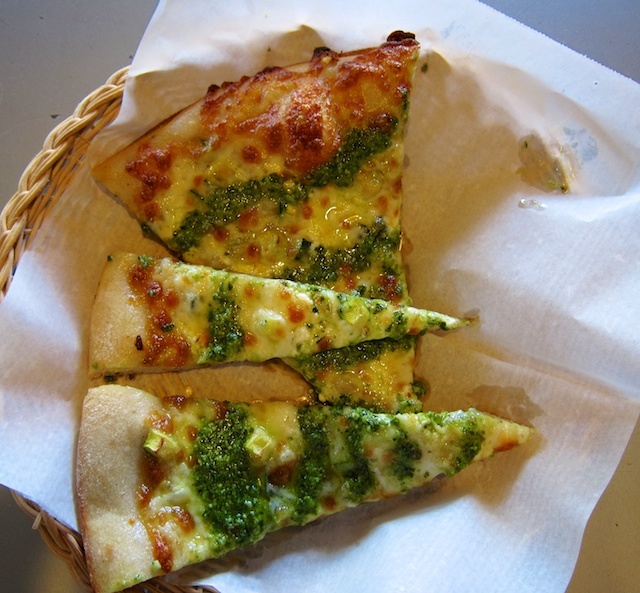 They make only one type of pizza each day—zucchini, onion, mozza, feta and basil-pine nut pesto the day I’m there—and one type of salad, this day a roasted corn with aged goat gouda. You can order the pizza whole ($20), by the half ($10) or the generous slice ($2.50). Because they’re only making one kind of pizza, hot fresh pies keep emerging from the oven. Which means they’re fast, fresh and tasty, if you like a thin-crust, slightly greasy pizza. To me, it’s great value for a good, quick pizza… if you can avoid the lines. 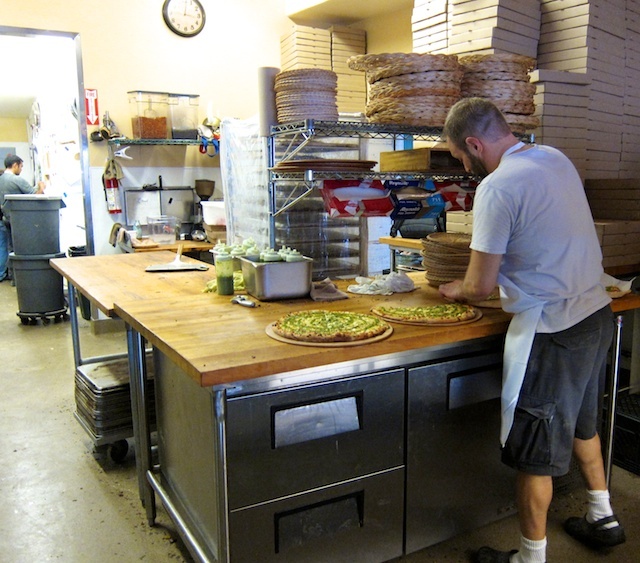 Note: This being Berkeley, it’s no surprise this pizzeria is a worker-owned collective, which also operates a cheese store and bakery a few doors down. This entry was posted in American restaurants, Berkeley, California, pizza, road food, Road trip food and tagged Berkeley pizza on March 13, 2015 by bcorbett907. I have been there before and it hit the spot! 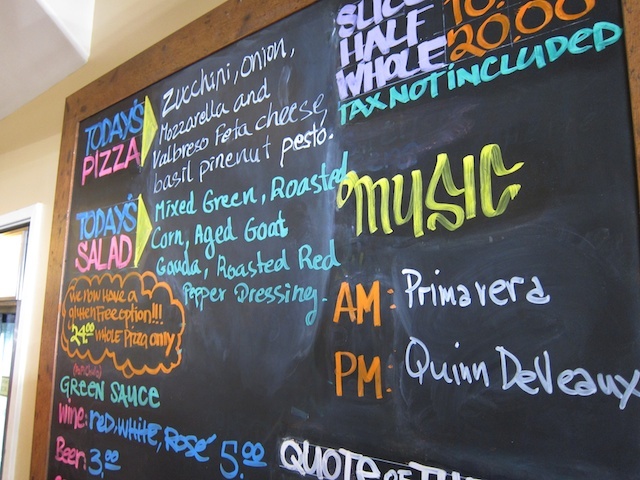 If you are in the Cupertino area sometime, check out my Pizza Restaurant with the family!